For several years, one of the low-level fusses in the brotherhood has been about preterism. Otherwise known as the 70 AD doctrine, preterism argues that all of the prophecies about the end of the world have already been fulfilled. Thus, 2 Peter 3’s discussion of the earth and its works being burned up should be read in the same light as the Joel 2 prophecy of the sun being turned to darkness and the moon turned to blood. I think preterists make some valid points. We need to be careful to read the apocalyptic language of the Bible apocalyptically. Also, many texts that are commonly read as being about the end of the world are about events that happened thousands of years ago. I think Revelation 1-19 falls into this category. Drawing the line between fulfilled prophecies couched in apocalyptic language and unfulfilled prophecies predicting literal future events is not always an easy task! Despite this, I ultimately find preterism unconvincing, and my biggest problem with it concerns the resurrection of the dead. Because preterists do not believe that the world will end, they necessarily also must reject a general bodily resurrection. Instead, presumably our spirits are judged as we die and are sent to an appropriate destination while the world continues. Once again, this is not an absurd conclusion. At times, the Bible does use resurrection language in a metaphorical way. John 5:25, for instance, is clearly metaphorical. However, I think the conclusion that there is no literal resurrection of the body has significant, indeed disastrous, implications for Christianity. In recent years, I’ve become more and more convinced that the resurrection of the Lord is at the heart of the gospel. If somebody asks, “Why should I become a Christian?”, the single best answer is, “Because Jesus was raised from the dead.” As Paul observes in Romans 1:4, Jesus was declared to be the Son of God in power by His resurrection from the dead. The reality of His Sonship is confirmed by the reality of His resurrection. In many ways, the New Testament is the story of the working out of the implications of the resurrection. Fundamentally, our hope as Christians is that as Christ was raised, so will we be. Once again, there are times when this resurrection comparison is metaphorical. Romans 6:4 is only the most famous such example. However, there are also times when the language of the text allows only for a literal reading. I think the best example here is Romans 8:11, where Paul writes, “If the Spirit of Him who raised Jesus from the dead dwells in you, He who raised Jesus Christ from the dead will also give life to your mortal bodies through His Spirit who dwells in you.” Paul certainly believed in our metaphorical resurrection though Christ, but he anticipated a bodily resurrection too. This passage has great apologetic significance. It’s my favorite rebuttal for the argument that early Christians believed only that Jesus was metaphorically raised from the dead. If Jesus was only raised in metaphor, then why on earth would His resurrection prove that our mortal bodies will be raised? Rather than being a late, legendary belief, the conviction that Jesus bodily rose from the dead appears in the earliest Christian writings. However, if this passage does not establish that the dead will be raised in the body (as preterists must argue), it does not establish that Christ was raised in the body either. If Paul can describe a metaphorical resurrection as life being given to our mortal bodies, the clearest language in Scripture arguing for the bodily resurrection of the Lord can also be read metaphorically. Skeptics can either dismiss the Luke 24:36-43 account as late and legendary or argue that this is the story of (the dead) Jesus’ continuing communion with His people, as they please. To paraphrase 1 Corinthians 15:13, if there is no resurrection of the body, not even Christ has been raised in the body, and without the bodily resurrection of the Lord, the logical basis for Christianity collapses. It’s valuable and important for us to understand that many of the prophecies of the New Testament have been fulfilled, even ones that brethren of bygone generations confidently located in the future. However, we have to be careful not to overstate the point. 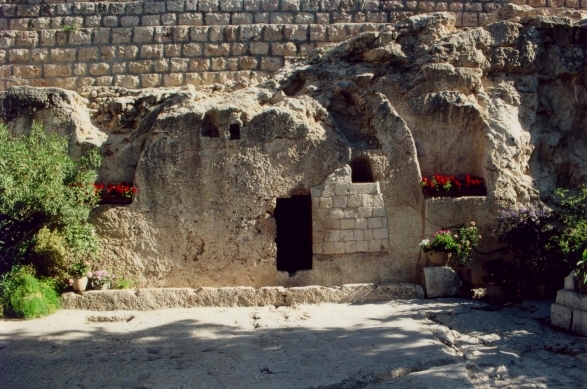 Our faith is founded on the resurrection of the body, and it’s extraordinarily difficult to extricate the resurrection of Christ from the resurrection to come. They stand or fall together, and if we demolish the one, we inadvertently demolish the other. I at first glance I would say you’ve over thought the argument. We do not know, so we read to understand, and the wording is not revealing in either view as to what takes place. Christ was not to suffer corruption, as in decay, so he was raised before this, in my deduction, same as John 11:39 implies. We do not know how God will work out this conclusion, for us all. Either way its in His Power, so it remains beyond our comprehension. I do not view it as a you’ve written, and I’d imagine that’s the cause of the ‘minor fuss’. Thanks for the comment, brother! I’m afraid, though, that I have to disagree with you. I think “He who raised Christ Jesus from the dead will also give life to your mortal bodies” is pretty revealing. If the point is not that God will give life to our mortal bodies, what is it?